I love this field trench so much! 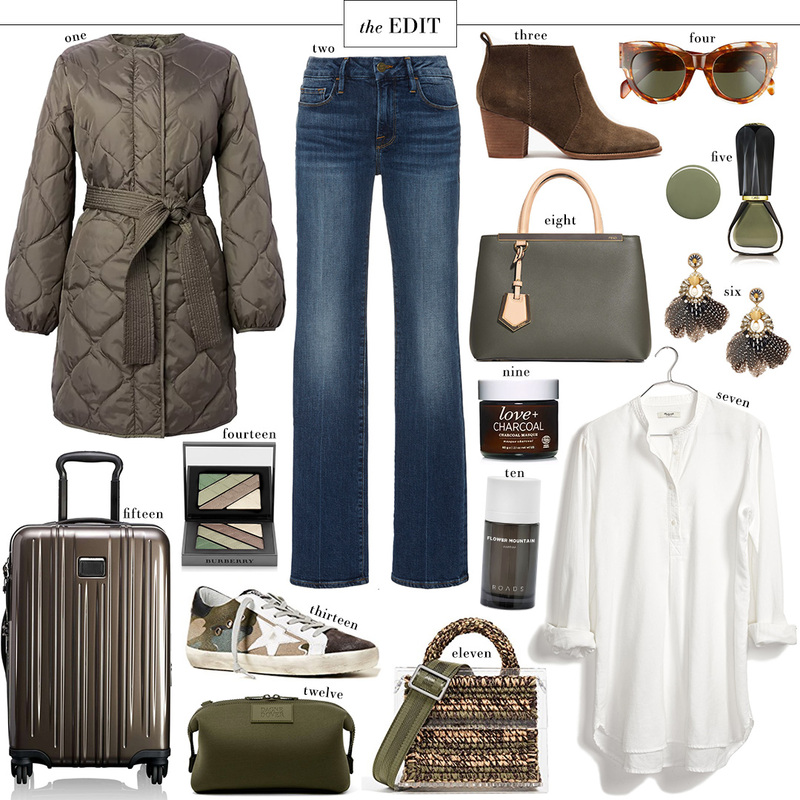 The corduroy collar and deep moss green color seem like a perfect fit for this trip. Plus, it’s under $200! J.Crew also has this more stylized cropped fatigue jacket that’s adorable too. Depending on how warm it is when we go, this little tunic dress would be really cute for exploring Buenos Aires with a pair of sneakers! I’m definitely not buying a bag just for this trip, but if I did, it would be this one. SO cute. This Marques’ Almeida ruffled top would look fab with dark jeans and heels for dinner! Clearly need to do more investigating in terms of the forecast, but these high-waisted shorts are darling! Also love this embroidered pair that’s on sale. This Rhode Resort number is another great day-to-night option for Buenos Aires! One item I know I want to buy for this trip is a green pair of jeans/pants – thinking about this pair or this pair! This canvas tote is a great price and would be a casual bag to throw all my essentials in each day. Again, likely not buying something this pricey for this particular trip, but I do love the look of these slouchy suede boots. Cute look. I love the sunglasses, and the coat. So many cute styes! Love those sneakers. Always love your style, but $500 (before tax) for beat-up sneakers is a head-scratcher to me. My friends love them. I don’t get it. To each her own.